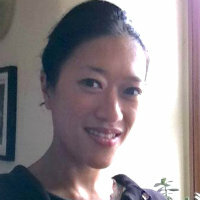 Diana Yeh is Lecturer in Sociology, Culture and the Creative Industries in the Department of Sociology. Prior to joining City, she taught at the University of Winchester, Birkbeck College and the University of East London. She has also held postdoctoral research positions at the universities of Bristol and Westminster and a fellowship with the journal Sociological Review. Diana's research interests lie in race and racisms, migration, diaspora, youth and cultural politics, with a particular focus on constructions and contestations of British Chinese and East Asian identities. She has conducted multi-sited fieldwork on the politics of identity and belonging among Chinese migrant artists in light of their translocal histories across Britain, South Africa, Italy, China and Taiwan. Her book, The Happy Hsiungs: Performing China and the Struggle for Modernity, was published with Hong Kong University Press in 2014. Her current research explores the intersections of migration, racialisation and global youth cultures, and racial inequalities in the creative and cultural industries. She is Principal Investigator of the British Academy/Leverhulme funded project, ‘Becoming East Asian: Race, Ethnicity and Youth Politics of Belonging in Superdiverse Britain’ with Tamsin Barber at Oxford Brookes University. Committed to working beyond academia, Diana has presented her research on BBC Radio Four and Resonance FM, at institutions such as the Wellcome Trust, National Portrait Gallery and Tate Britain, and at the International Bookworm Festival in China. She has also acted as a consultant for the Royal Geographical Society and worked on a Knowledge Exchange Partnership for Bristol University with Penguin Books. Yeh, D. and Thorpe, A. (Eds. ), (2018). Contesting British Chinese Culture. London: Palgrave. Yeh, D. (2014). The Happy Hsiungs Performing China and the Struggle for Modernity. Hong Kong University Press. ISBN 978-988-8208-17-3. Yeh, D. (2018). The Cultural Politics of In/Visibility: Contesting ‘British Chineseness’ in the Arts. In Yeh, D. and Thorpe, A. (Eds. ), Contesting British Chinese Culture London: Palgrave. Yeh, D. and Thorpe, A. (2018). Introduction: Contesting British Chinese Culture. In Yeh, D. and Thorpe, A. (Eds. ), Contesting British Chinese Culture (pp. 1–29). London: Palgrave. Yeh, D. (2015). Utopia beyond Cosmopolitanism: A Translocal View of Li Yuan-chia’. Viewpoint: A Retrospective of Li Yuan-chia (pp. 15–69). Taipei: Taipei Fine Arts Museum. Yeh, D. (2015). Staging China, Excising the Chinese: Lady Precious Stream and the Darker Side of Chinoiserie. In Witchard, A. (Ed. ), British Modernism and Chinoiserie (pp. 177–198). Edinburgh: Edinburgh University Press. Yeh, D. (2014). New Youth Mobilities: Transnational Migration, Racialization and Global Popular Culture. In Veale, A. and Dona, G. (Eds. ), Child and Youth Migration: Mobility-in-Migration in an Era of Globalization (pp. 91–115). London: Palgrave. Yeh, D. (2014). Under the Spectre of Orientalism and Nation: Translocal Crossings and Discrepant Modernities. In Huang, M. (Ed. ), The Reception of Chinese Art across Cultures (pp. 228–254). Cambridge: Cambridge Scholars Publishing. Yeh, D. (2008). Contested Belongings: The Politics and Poetics of Making a Home in Britain. In Lee, A.R. (Ed. ), China Fictions/English Language: Essays in Diaspora, Memory, Story (pp. 299–325). Amsterdam/New York: Rodopi. Yeh, D. (2014). Contesting the ‘model minority’: racialization, youth culture and ‘British Chinese’/‘Oriental’ nights. Ethnic and Racial Studies, 37(7), pp. 1197–1210. doi:10.1080/01419870.2014.859288 . Yeh, D. (2012). Book Review: The Chinese in Britain, 1800–Present: Economy, Transnationalism, Identity. The Sociological Review, 60(2), pp. 380–383. doi:10.1111/j.1467-954x.2012.02083.x . Yeh, D. (2010). Pot Luck: Food and Art. The Senses and Society, 5(3), pp. 412–418. doi:10.2752/174589210x12753842356403 . Yeh, D. (2000). Ethnicities on the move: 'British-Chinese' art - identity, subjectivity, politics and beyond. Critical Quarterly, 42(2), pp. 65–91. doi:10.1111/1467-8705.00287 . Yeh, D. (2000). Groping in the Dark: Encountering the works of Steve McQueen. Room 5, 1(1), pp. 39–55. Li Yuan Chia. BBC Radio 4 Li Yuan Chia was one of the first significant Chinese abstract artists of the 20th century. This programme examines his career from the place he spent the last 28 years of his life: a stone farmhouse, built next to Hadrian's Wall in Cumbria. http://www.bbc.co.uk/programmes/b00pcf5j. First broadcast 2009. 'Paul Robeson, Meet Anna May Wong’. Resonance FM About the world's first internationally renowned African American singing star Paul Robeson and the Hollywood screen legend Anna May Wong. With Dr Diana Yeh talking about some of the forgotten pioneering Black and Asian stars of the stage in the early 20th century.